Everybody has a sheet pan, but who knew you could do so much with it? 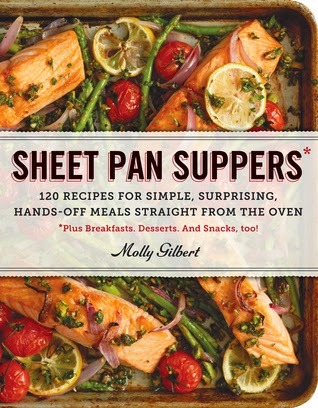 In Sheet Pan Suppers, Molly Gilbert gets creative with one pan meals as she shows us how to bake, roast, and broil our way to delicious dinners and snacks. With an attractive layout, amazing photographs, and clear, concise directions, I had trouble deciding which recipes to try first. Gilbert begins with a primer covering the basics of sheet pan cooking. 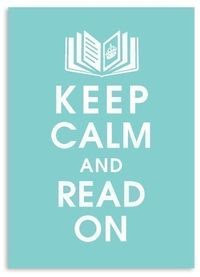 Other chapters include Appetizers & Small Bites, Bird's the Word, Hold the Meat, Please, Fish Business, I Love Brunch, Dessert (There's Always Room) and more. I began with Pesto Chicken Turnovers. This easy weeknight dish was further simplified by using prepared pesto and rotisserie chicken. With a green salad on the side, I put a tasty dinner on the table with minimum effort. The turnovers made a delicious lunch the next day, too. After that success, I moved on to Classic Roast Chicken with Mustardy Potatoes. 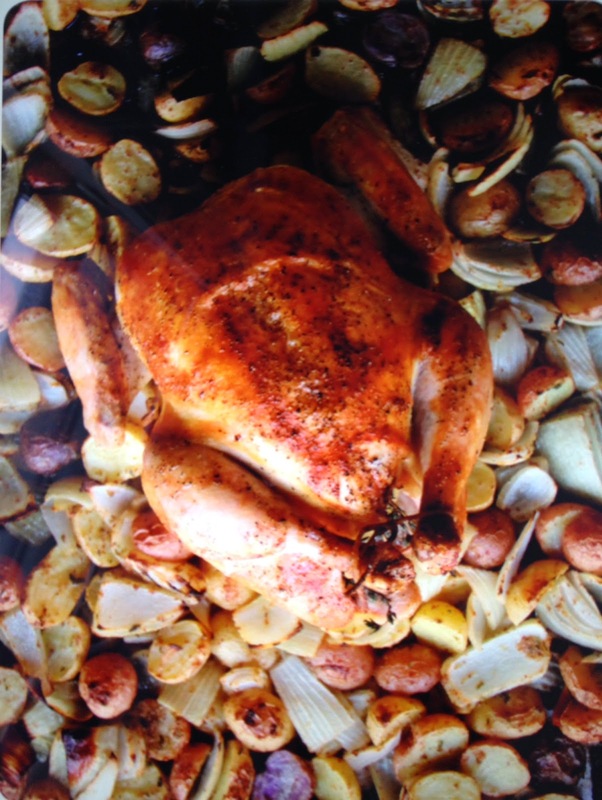 Now I've roasted plenty of chickens over the years, but this particular mix of fresh herbs and butter on the chicken combined with mustard, lemon, olive oil, and fresh herbs on the potatoes and onions was the best ever! 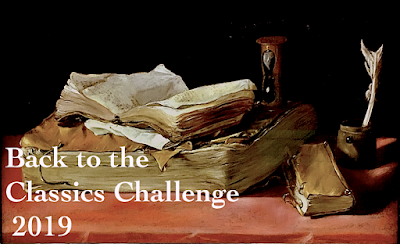 I've bookmarked several recipes in every chapter to try later. These include Coconut Shrimp with Spicy Orange Dipping Sauce, Chicken and Black Bean Enchiladas, Lemon-Herb Sole on Crispy Potato Rafts, and Orange Cardamom Pound Cake. Since I'm not a huge fan of cooking from e-books, I plan to purchase a print copy. Sheet Pan Suppers is recommended for both novice and experienced cooks. For more about Molly and her recipes, check out her blog Dunk & Crumble. 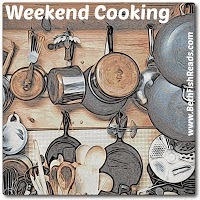 Weekend Cooking, hosted at Beth Fish Reads, is open to anyone who has any kind of food-related post to share: Book (novel, nonfiction) reviews, cookbook reviews, movie reviews, recipes, random thoughts, gadgets, quotations, photographs. If your post is even vaguely foodie, feel free to grab the button and link up anytime over the weekend. You do not have to post on the weekend. Please link to your specific post, not your blog's home page. lawstudentscookbook - My family is looking forward to more recipes from this book! I don't have a dishwasher, so one-pan meals are a definite plus. I'm adding this one to my list. It looks like a winner. Beth F - Easy cleanup is definitely a plus with Sheet Pan Suppers! I have this book and love it...I made the flank steak and peppers recipe...fajitas...my husband declared it the best ever! I think I will try the roast chicken tomorrow! Thanks! Patty - That's one of the recipes I bookmarked! So glad to know you liked it. 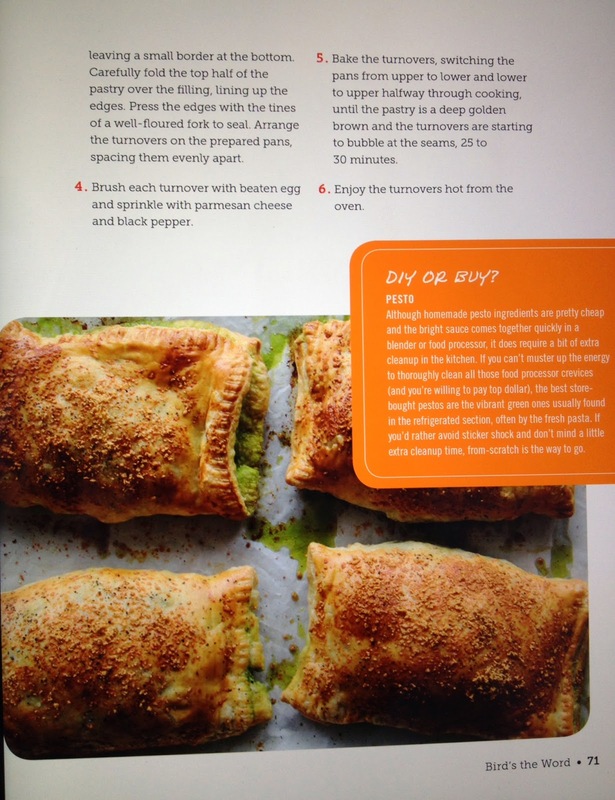 I don't like flipping through cookbooks on my iPad at all... definitely need this one in print! I know what you mean...that's why I bought the book, too...I just bought a chicken so I can't wait to make the classic roast chicken recipe! You will love the fajitas! Between you and Patty, I've got to get a sheet pan cookbook! Kathy - Yes, you do! Yes. Kathy! 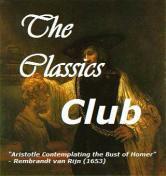 It is a gem of a cookbook! I love the concept - have to admit I had never considered using the sheetpan for much more than cookies or roast potatoes. I like the sound of the chicken - I might have to try that when I next have guests over. Colleen - It's pretty amazing that she was able to come up with so many recipes that can be prepared on a sheet pan! Anbolyn - One thing that appeals to me is that these are not fussy recipes... you put the sheet panic the oven and come back to a meal! I am very happy you reviewed this cookbook, sounds like a winner. Who doesn't love easy cleanup?! One of my favorite one dish meals is called Lemon Tray Bake. Everything on one tray! Tina - My mother makes a lemony chicken, potatoes, and carrot dish in sheet pan... it's probably similar to yours. I was intrigued by this one but hadn't had a chance to look at it yet. Even more intrigued now! This sounds fantastic! I love one-pot meals, but generally prefer baked or roasted meat to crockpot or skillet, so this sounds perfect! Laurie C - I love my crockpot (for soups and stews especially), but am still pretty excited about this twist on one-pot meals. What what a COOL idea for a cookbook! Care - SO many creative ideas here... check it out! Adding it to my list to peruse! Love this concept and checked out her blog and it all looks so yummy! Karen - Isn't her blog great? I was hoping to get a print copy of the cookbook for Christmas, but I think my request was made too late. This cookbook looks right up my alley. I love cooking, but I also love easy meals. Loni - Simple and delicious are definitely a necessity most weeknights!